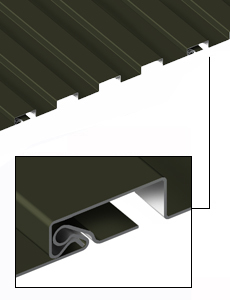 Concealed fasteners system compatible with Corra-Lok, Rigid Wall II, Multi-Design. Also available in convex and concave form (Arc-Metafor). Dimension : 12″ width (see the drawings below), length cut to customer specifications, minimum 1′-6”. Material : Aluminum. 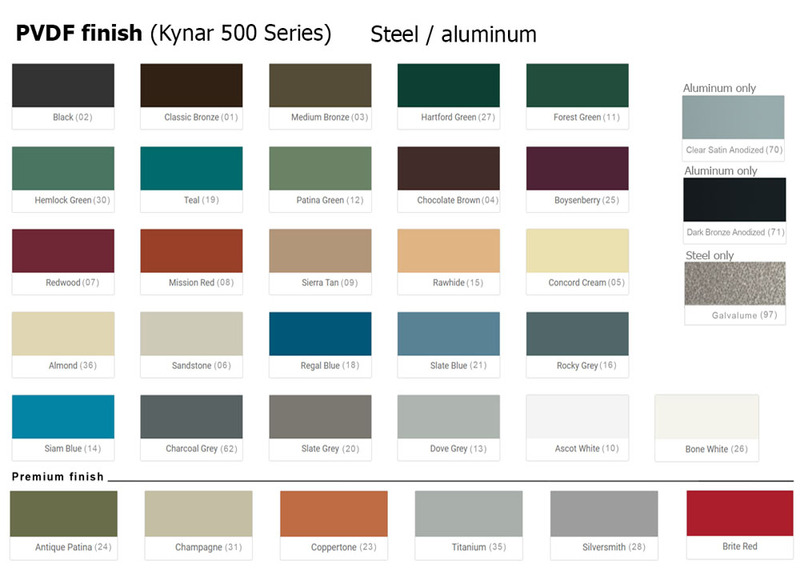 High resistance finish (Kynar 500® PVDF or Hylar 5000® PVDF).